Seems tomorrow is supposed to be the end of the world. I say bring it. Sick of the stress of this here life. However, if for some reason we all make it through the end of time, I for one plan on livin' it large. Here's what I'm done with. Actually, I was about to launch into all the bad of the bad. Cause some days it def seems like it's straight up the end of the world as we know it. The bills. The lack of communication. The work. The unhealthy habits. The truck repairs. The ugly hair. The jacked body. Oh, it's bad. But really - what's that bad? We got laughs. We got big ideas. We got good food. We got future plans. We got funny pets. We got good family. We got killer friends. May next year - and, let's just say tomorrow starts the NEW YEAR, I wanna just keep on keepin' on with the good food like Alila Bali serves up. Homemade jams. Super shaken cocktails. Tiny omelette's. Poached fish in coconut milk. Baby quiches blanketed in greens. Cause good food = good exercise = good love = good life. Dead ramble, but it's real and it makes sense if you really, really think about it. Hopefully with a real nice glass of lightly chilled pinot noir. My good friend Hassan is a photographer. I can't say I made him one, but I certainly took him under my wing and paved a narrow dirt path for him to traverse. He started out a student at the CDC in Indo - courtesy of 4th World Love. He spoke a tiny bit of English when I first met him and he hovered on every word that I spoke, especially when it came to explaining things about taking photos. We'd roll around the island on motor bikes, checking in on the local folks, noting improvement in sponsored activities and he was constantly there - available to assist, happy as a clam, and always super on point. Just ready and avail to hold my camera. Waiting for me to utter one quick tidbit about any new slice of education he could possibly scrap up - notepad at the ready. He was willing and hungry to immerse himself in learning. Just like a sponge. Soaking it all in. I tend to give him a camera every time I'm back in Indo. My random cast off technology. Not cause it doesn't take good pix. But because he deserves to have what I have. To learn on what I learned on. To have the freedom to immerse himself in a trade/craft like anyone in the Western world can do. He sends me pix now and again - I love the macro shots and the wedding pix. He's become the village photographer. He speaks great English now. He's still a farmer at heart, but he makes me proud as a mama bear with his tenacity, gift and humor. Hassan. My friend, the photographer. I Wanna Be a Puppy or a Kid - What a LIFE! Having a puppy makes me think about being a kid. Remember back when you were free? You could just run, play, hide, eat, cry, yelp any time you wanted. There was always a summer on the horizon. Every day was about what kind of pure fun you could have. Dirt sandwich, playing in the creek, picking wild berries, helping out in the kitchen (or just simply gazing on as mom and grandmas did the work), baby snacks throughout the day. Hair in dreads. Feet a mess. Everything eye-level was a new toy. There was no stress. That word doesn't even exist in the priceless world of puppies and kids. Catching fireflies. Rocks were the only thing you had to put in your hand-me-down purse. Running through the woods til the sun set and it was time for dinner. Naps on the swaying front porch swing. Summers at the lake. Gulps of water and sunshine and joy - EVERY SINGLE DAY. That's kids and puppies done up the right way. If (and when) I have a kid, I want them to live the same free life I did growing up. See above. The kiddies in Indo where we have 4th World Love, well, let me put it this way. They are the ultimate village treasures. Everywhere is home. Every hip is familiar. A mud puddle = a romp in the swimming pool. A basket of food scraps = a knife in hand and a life never afraid in the kitchen and all the wonders it can turn out. Oh the joy...I'm gonna try to get that vibe back into my own life. They are Muslim and covered head to toe. But, they're just like us in the end. Just wanting to gossip all the live long day amongst their pals and shove down sweets for hours and hours. Laugh, cackle, eat, sip sweet tea, poke fun at each other. Those are girls. You put a room full of them together and you will always get the same posse of could-be fatties on the make. I don't know much Indonesian, so Sasak is even further out of reach. But, we share giggles and bites of sweets for a few minutes. 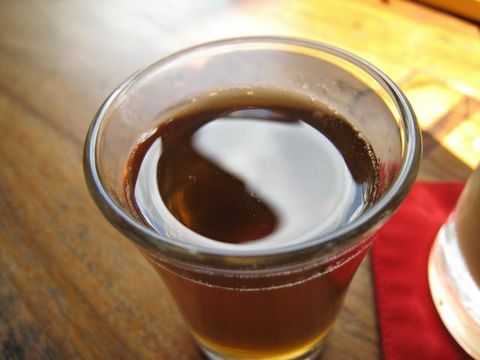 They scream the English name of something to me over and over - as if it will make the Sasak version stick into my skull. But, unless its Spanish, it's in one ear and out the other. Who needs words though - when food and smiles are God's currency? They adore me cause I've helped their kids and neighbors kids all learn English. I've helped their little community as much as I can - water towers, homemade garbage cans, community development centers, cleft palate surgeries. FREE English classes. Tools. Volunteers and a thriving volunteer program. Comupters. Cameras. Clothes. A beloved guitar played by all (expertly, I might add). Who am I to care? Why even start 4th World Love? Hell, WHY NOT? It ain't no biggie and it makes me proud. It brings me joy when sometimes there ain't none. I watch people learn and LOVE IT. I make a difference. Again, WHY NOT? And, I guess all these funny little folk in Lombok make me laugh and laugh. Of course I'm gonna help. It's just my nature...and it's sooooo easy to do. 'Nuff said. I've been to Indonesia twice, I've been to Mexico twice, either with someone or working whilst there, so constantly surrounded. I've worked 10 of those 12 months on TV shows in KY, Vegas and LA. I've had pals staying with me, living under my same roof while we worked together. I've just not been alone. But, today, for the first time in months and months, I am alone. That is until my dad and cousin get out here to LA in a few days to help me with my sailboat--which, heaven help us all, should be loaded onto a 50' semi right about now and making its way across the country to its new home. What does alone have to do with a bunch of food photos? Well, when I'm surrounded, it's hard to think straight. Hard to post on The Tooth. But today, easy. Why? Cause I'm dead alone. Just enveloped by quiet. And, I can slowly gaze at my photos and see what inspires me to share. Every Indo meal is a spread. There is just no small, light meal. It's plate after plate of homemade goodies, mostly veggies, rice, fried treats and sometimes a little specialty. Like these itty-bitty fish. They are caught (sometimes by naked kids) in the water reservoirs that surround the patches of farmland in Sembalun. They they are hauled home to their respective family homes where they are then tricked out into a tasty local dish, full of flavor and heat and soul. Just a little nasi (rice) and fiery sambal complete the package. You don't get to eat them that often cause they are so blazing difficult to catch, but if you ever do get so lucky, relish. Just like I relish alone. If only for a minute. That's right. I come back to good old Indonesia time and time again cause I need to know I'm gonna witness this view every morning from my little front porch. I need to know that funny Gary the Expat is gonna be having a hot dog at his hot dog stand and cracking up about the influx of non-American tourists every day. I need to know that a SCUBA adventure awaits me. I need to know I can sleep for 12 hours and not feel a lick of guilt. I need to know that there's gonna be an afternoon shower pretty much every day. I need to know that no matter how hectic life is back home, it slows down somewhere. Here it is. 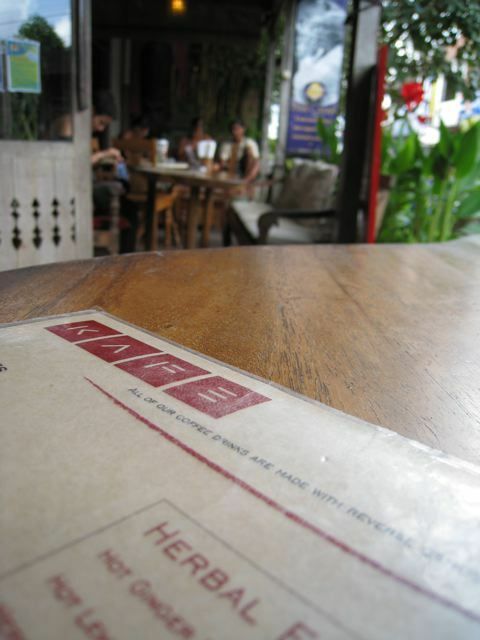 There's this fantastic little cafe in Ubud, Bali called KAFE. It's literally one of the most chill spots on earth, and is always chock full of yoga inspired folk, who also happen to be wayyyyy into health food (think organic mulberry pancakes, tofu madness, etc...). 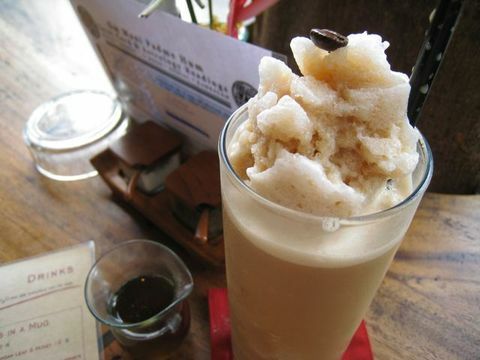 These guys turn out an addictive drink that is like a soy coffee frappe and I became 100% obsessed with them while I explored the hills of Ubud. 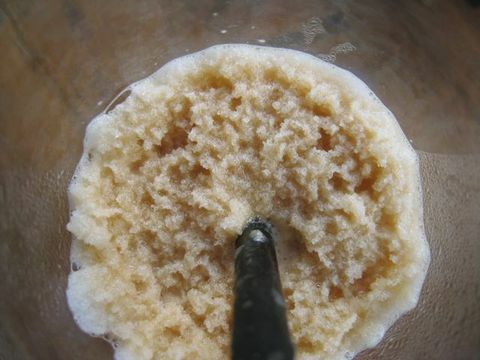 I'd stroll in, a sweaty mess from some kind of killer morning hike and they'd come tumbling out of the kitchen with this perfectly whipped, icy cold drink that sports a side vessel full of sticky liquid sugar..and every time I saw it, my eyes just popped. It's like straight rocket fuel. This little concoction is exactly what I am craving right at this second. Make it two. 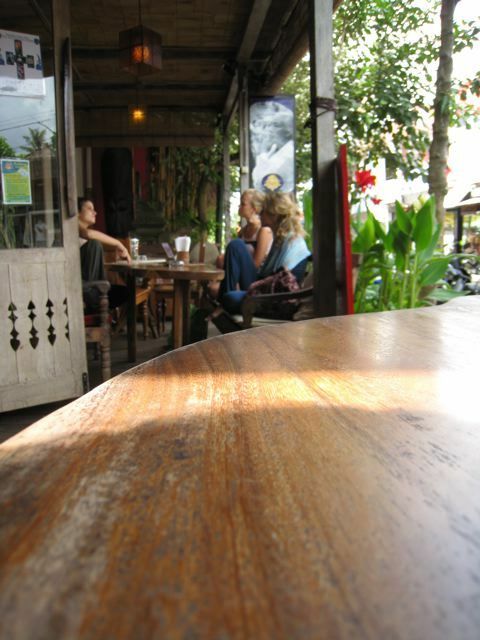 No trip to Ubud is complete unless you pop into KAFE and for the full health kick, start the AM off with a packed class at the Yoga Barn. Same owner, smart cookie.